First things first, we have some exciting news! A brand spanking new Colette pattern will be hitting the shelves one week from today. Mark your calendars, set a reminder on your phone, do what you got to do. Trust me, it’s a good one! Over the next week you can expect to see some hints to what the new pattern might be. 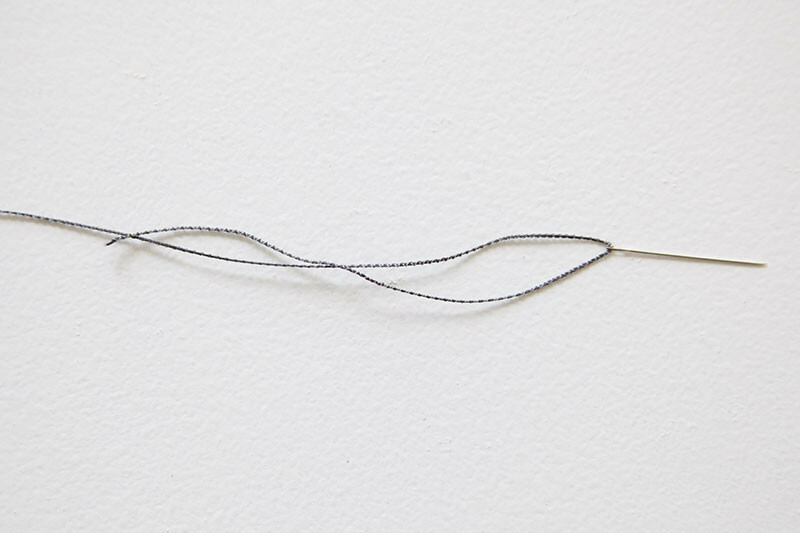 Our first hint comes in the form of a tutorial for thread chains. This technique can used in many different ways, to secure the bottom of a pocket bag to the shell of a garment, or secure a lining to a shell. Thread chains are like sewing anchors! The key word to remember when you think of thread chains is secure. Thread chains secure items to keep them from moving around too much. As you can imagine, this is a handy trick to have up your sleeve. This is the most classic way to produce thread chains. 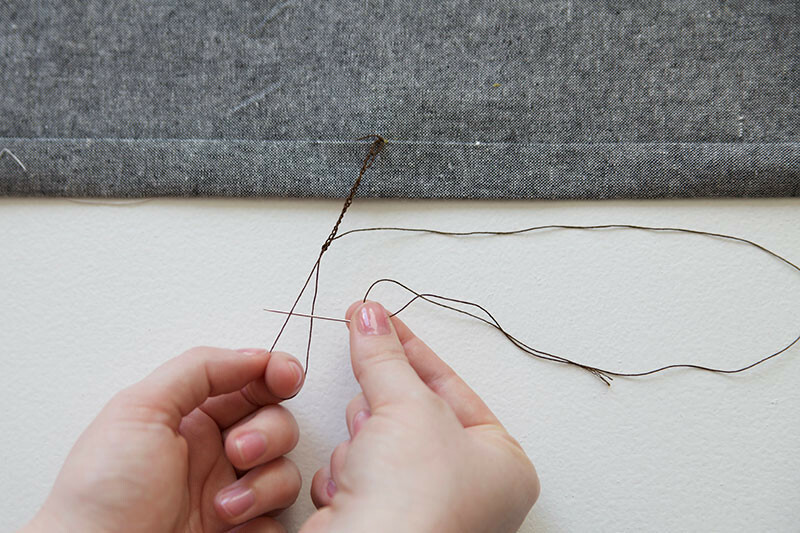 This process allows you to crochet your thread, creating a strong and sturdy chain that connects the inner and outer pieces of the project together. 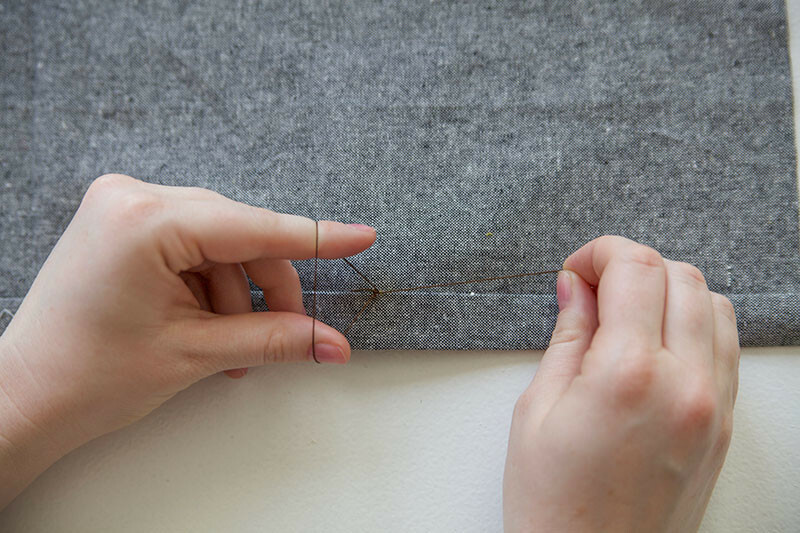 1) Using a hand-sewing needle and thread, make a small backstitch through the wrong side of the inner piece. 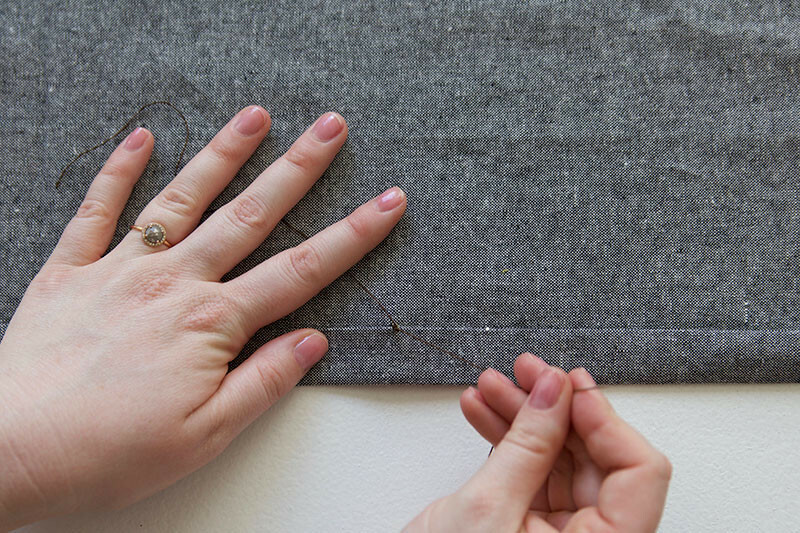 2) Hold the open loop with your index finger and thumb, and hold the thread in the needle taut with your other index finger and thumb. 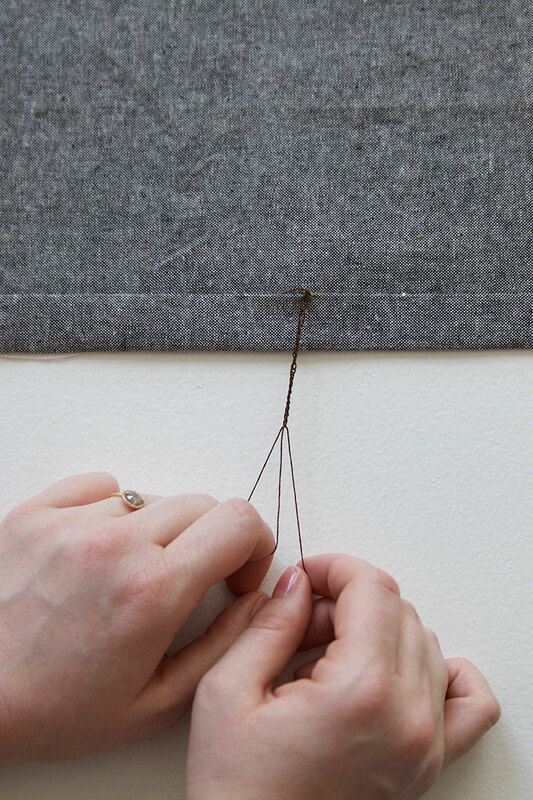 3) Using your middle finger, pull the thread in the needle through the backstitch loop, creating another small loop. 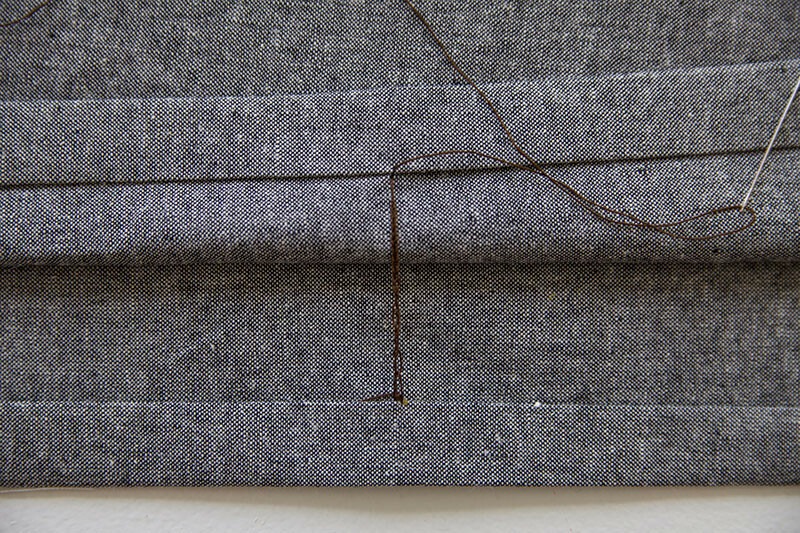 4) Release the backstitch loop, and pull the small loop through. Open the small loop and hold with your index finger and thumb. This will close the backstitch loop and create the first chain. 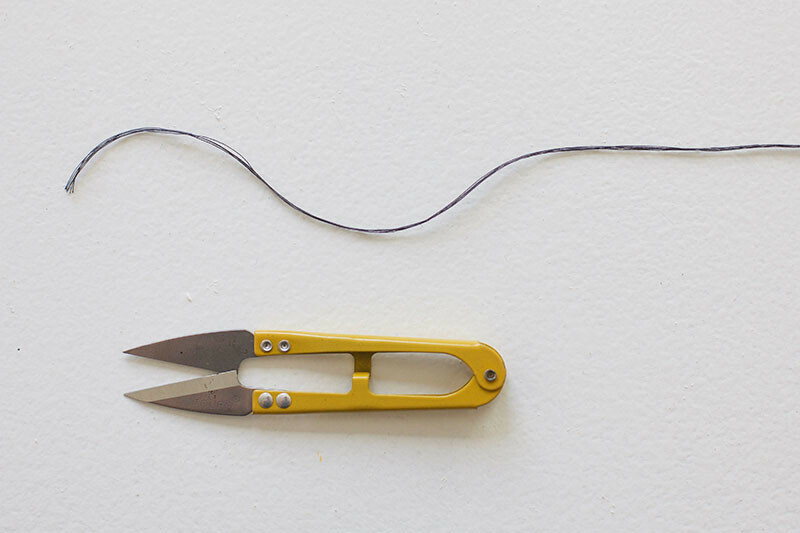 5) Repeat steps 1 – 4 until your thread chain is about two inches long. 6) Finish the thread chain by threading the needle through the last loop and pulling tight. 7) Sew the end of the thread chain to the wrong side of the outer piece, near where you began the thread chain on your inner piece. This will keep the pieces in place while allowing for some wiggle room. If you are a long time blog reader you may remember this post from 5 years back. This is a technique shared by Nancy Zieman in her book Nancy Zieman’s Sewing A to Z. This technique is not a thread chain itself, but rather a reinforced strand of thread that can be used instead of a thread chain. This is a great option for garments where multiple thread chains are used. Just make a long strand of reinforced thread and cut as needed. 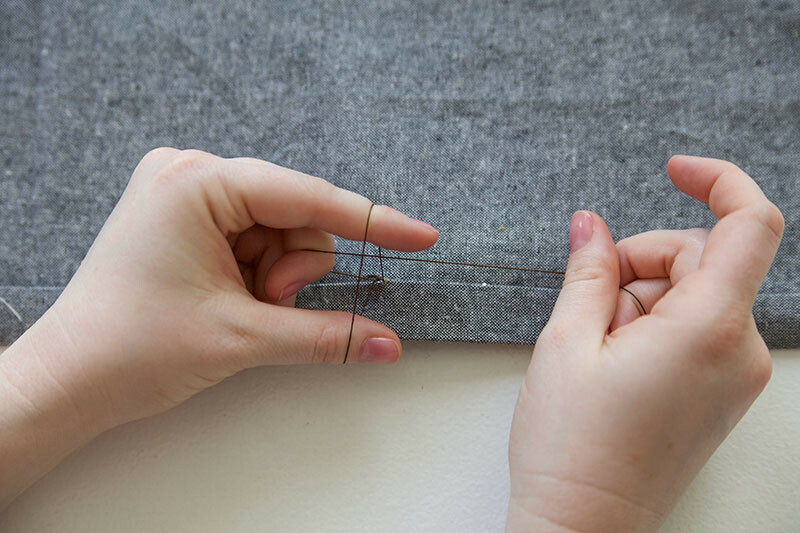 1) Cut 6 strands of thread to be a approximately 18″ long. this is a nice manageable length. 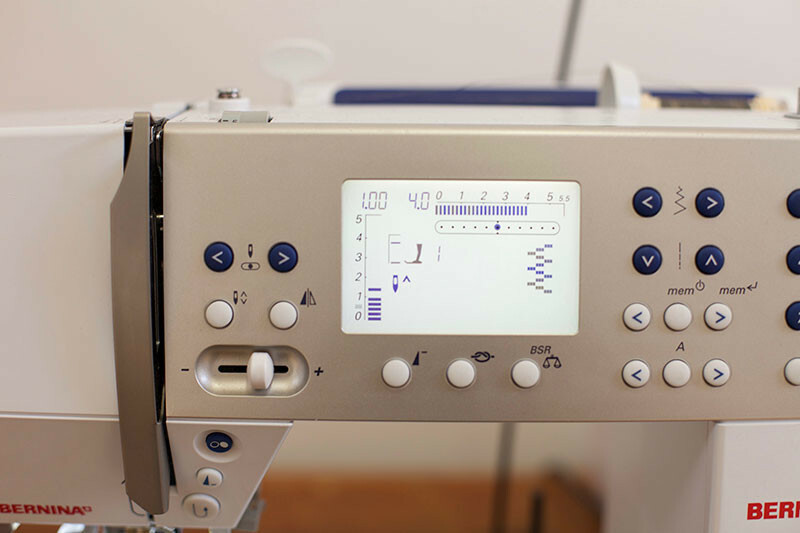 2) Thread your sewing machine with matching thread and set up for a zigzag stitch with a length of 1 and a width of 4. 3) Simply zigzag over six strands of thread while holding them taut. 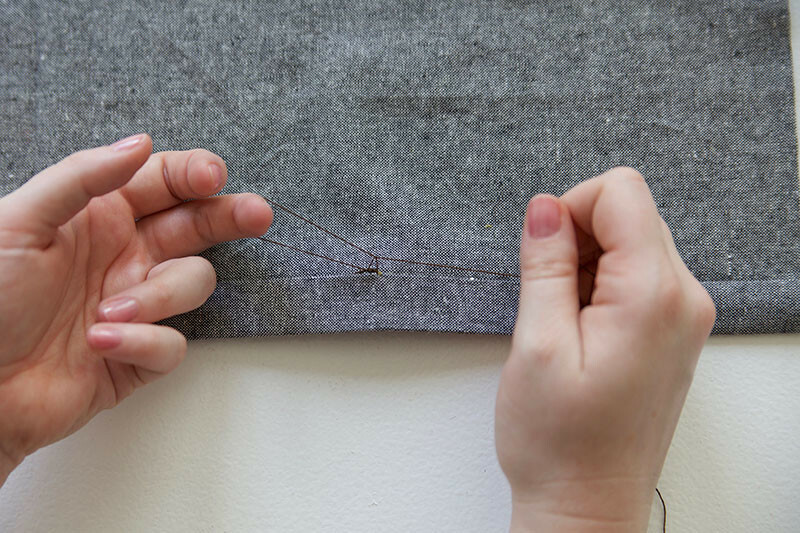 4) Thread your reinforced thread through a needle, and use a backstitch at either end to attach the inner and outer pieces together. There you have it, two techniques for creating thread chains. This experience is only enhanced by listening to Chain of Fools by Aretha Franklin on repeat. You can thank me later. Thank you for this great tutorial! 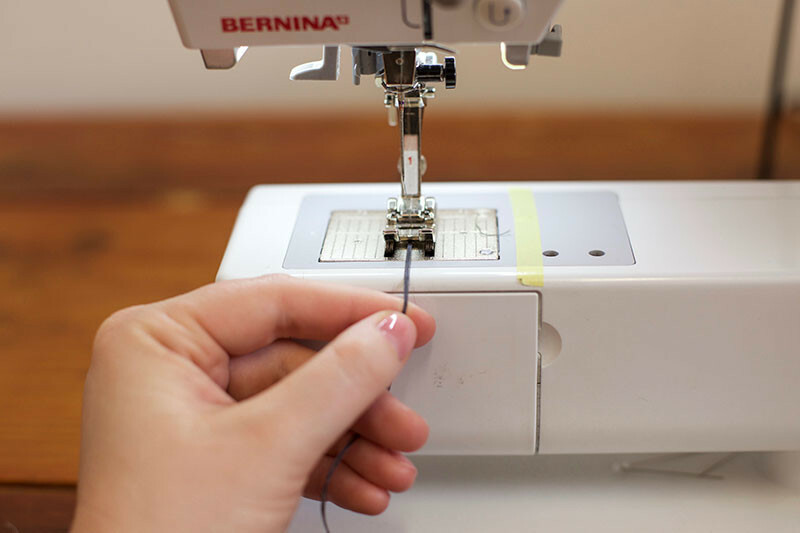 Another method for those of us with sergers is simply to serge a length of thread. It will be four threads “thick”, and strong enough for most applications. That is a great idea! I will have to give it a try. Thanks for the tip! I’m going to be practicing this technique. Having just re-entered garment sewing after only quilting for years has been so fun. I just love learning new things. Thank you for the great information. Going to practice all of the techniques. My favorite, however are catch , blind slipstitch Thanks for including them for free. Love your patterns and books.Could it be a lightweight coat for Spring? I use a little crochet hook to make a chain but I’m going to try the hand method next time….that will save me having to hunt out the hook! Thank you for the earworm! I must admit, I do make a musical out of the sewing instructions sometimes…..